The house is a new build designed to reflect the New England Federal style popular between 1780 to 1830. 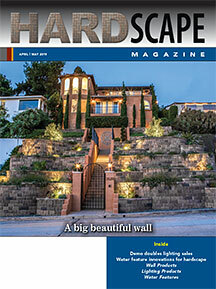 The client wanted a formal front lawn to reflect that style. 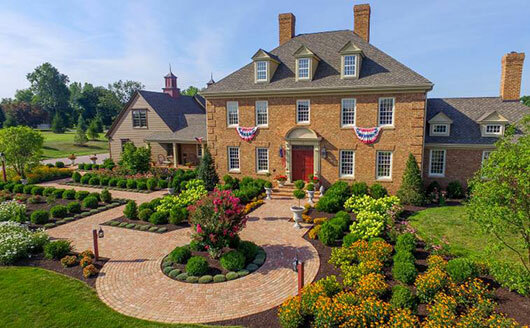 Steven says, “She felt the front yard was too large for that era and wanted us to minimize how it looked.” GoldGlo’s landscape crew installed about 2,000 plants on the property. 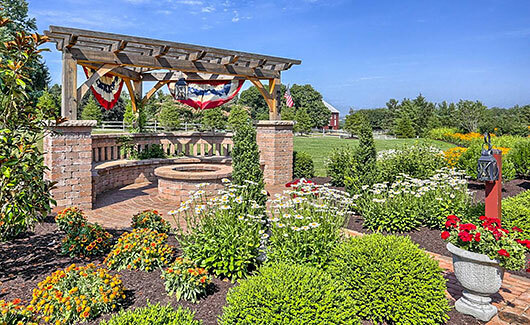 GoldGlo Landscapes’ “New England Federal-Style” project is 1 of 7 of the company’s Hardscape North America Project Award winners since they began entering projects in 2015. 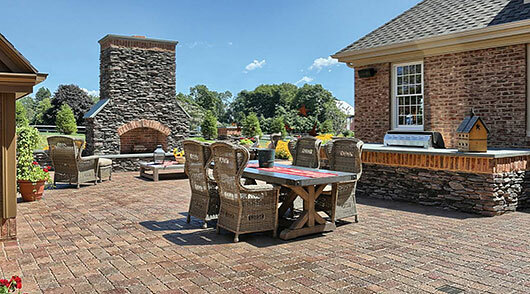 This project won an Honorable Mention for Residential Combination of Hardscape Products more than 4,000 sf in 2018. They’ve won several additional awards thru other programs. 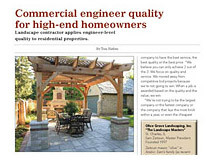 Steven says the company’s track record of award winning projects also builds instant credibility with prospective clients looking to hire a design/build contractor. Awards carry extra weight when they come from the organization that sets engineering construction standards for the work such as ICPI. Winning awards also raises the bar for GoldGlo employees. Steven says they now expect themselves to produce an award-winning level of work in both design and construction. So, even those projects that don’t win are done at a very high level. 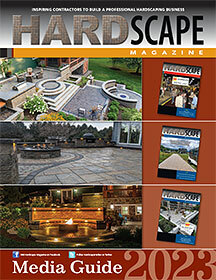 The company’s 2 Design-Sales Consultants write up award submissions for their projects. They work with the company’s designer and serve as the client’s main contact from the time the lead comes in until construction begins. From there, a Project Manager (super foreman) becomes the client’s main contact. During the initial onsite consultation the client agreed to hire GoldGlo to create a design. Steven says their design fees range from $500 to $5,000. “We explain our design process on the first contact with a client. 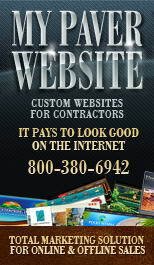 If a client is not willing to pay for a design they are not the right client for us, and we may not be the right contractor for them. The 3-post pergola is a mortise and tenon (post and beam) construction. This intimate area was placed away from the main patio. Steven says detailed advance planning is the other key to making project construction go smoothly, especially on a large project like this. “We didn't really run into much that we hadn't planned for. We put so much time and thought into pre-planning that it helps to eliminate a lot of that. We figure out how the project will be built before we start. 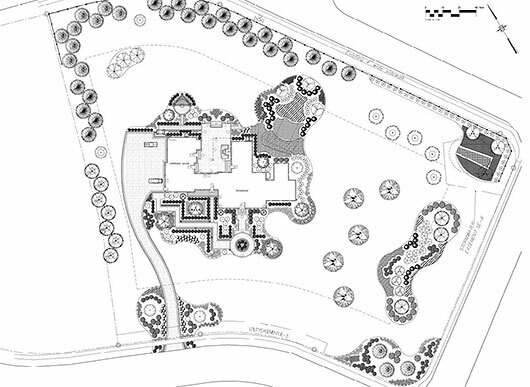 We set all the elevations on the property: final driveway grades, final patio grades. For this project, they began construction with the back patio because the masons and siding contractors were done there. Then they moved to the driveway which shut off all access to the garage. They did the front walk last because that area had been serving as the parking lot for all the contractors. By focusing on award-winning quality, really listening to the client, good communication all the way around and detailed planning, GoldGlo satisfied a client, earned a fair profit and added another HNA Award to their mantle. Awards are good for business, however, they are not the most important thing in business and life. My faith, family and friends are more important to me than winning awards. It is my prayer that I can be humble and realize that everything I have worked for on this earth is not mine. I am just a steward entrusted to take care of what I am blessed with in my short life on this earth. We can become too wrapped up in business and lose sight of what really matters. I don’t think I will look back on my life when I am in my golden years and say, I wish I would’ve spent more time at work. Work is important, but we need to maintain a good balance in life.